The Permaculture Playing Cards was a project that was conceived by Paul Wheaton of Permies.com. Paul and graphic designer Alexander Ojeda worked for several months selecting topics and graphics for the cards. They then used KickStarter to fund printing the initial run of the cards. 54 Permaculture Playing Cards, each filled with permaculture ecology concepts. They include People, Plants, Ideas, Animals, Techniques, and more. Permies created these cards to deliver the bigger picture of Permaculture through a beautifully crafted small package. Whether you are are using the cards as a fun way to brush up on your Permaculture education or giving them as a gift for a friend, these Bicycle quality playing cards deliver the information required for a healthy future for the entire planet. These cards are derived from generations wisdom and knowledge. Sold by Steam Freight Trading Company, produced by Paul Wheaton at Permies. Created by the larger-than-life character Paul Wheaton, nick-named by Geoff Lawton as the 'Duke of Permaculture'. Paul is a member of the TSP Expert Council and a leader in the world of Permaculture. He runs the largest permaculture forum at permies.com where they discuss "all things permaculture". Paul has written numerous articles at his blog richsoil.com. These articles include such topics as use of diatomaceous earth as an insect killer, rational grazing plans for chickens, wofati structures, and an homage to Sepp Holzer. He has published hundreds of Permaculture podcasts and videos. 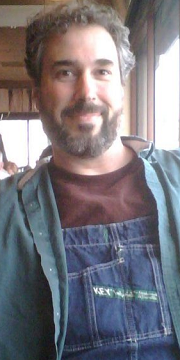 Paul is a Master Gardener, permaculture designer and a java software engineer. He has ran several successful KickStarter campaigns including one for Permaculture Playing Cards. Paul received his PDC in 2005. He has visited hundreds of farms and sites using permaculture principles over the years resulting a wealth of permaculture knowledge. An entertaining and informative, but very high level of all things Paul Wheaton has interest in. Well worth your time to watch. This page was last modified on 20 May 2014, at 03:45.